The MotoGP circus has arrived in the UK for this weekend’s 12th round of the 2015 season. 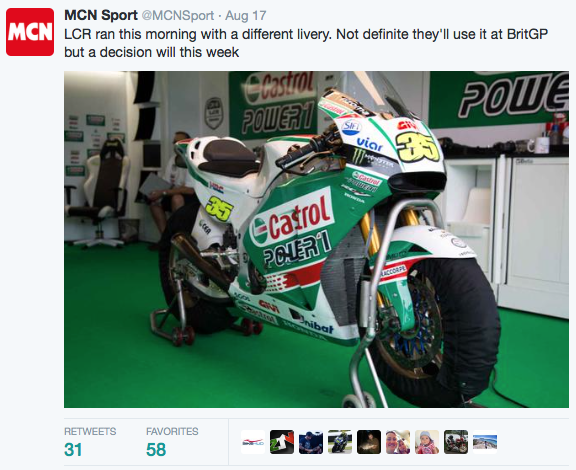 Timing couldn’t be better for the premier class of motorcycle racing, its nearing the end of the school’s summer holidays, which as everyone knows, means the weather is set to be an absolute scorcher… oh wait, sorry, scratch that. The forecast is dismal. But anyway, if it isn’t sizzling in the grandstands it certainly should be out on circuit as it’s crunch time for the three main championship contenders, Jorge Lorenzo, Valentino Rossi, and Marc Marquez. 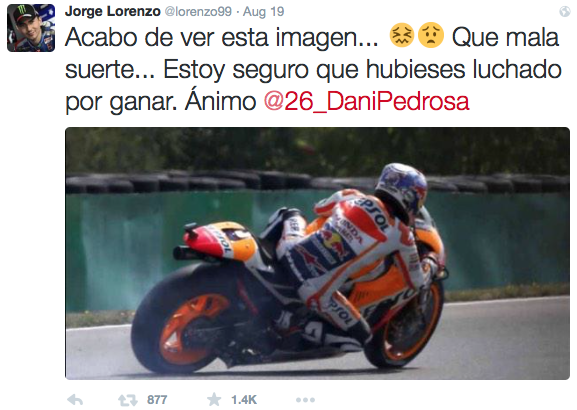 Will Lorenzo steam roll this weekend, too? Coming into the race, Lorenzo now ‘leads’ the championship despite being on equal points as team mate Valentino Rossi on account of the higher number of wins this season, while Marquez lags over 50 points behind. Sounds like he’s out of the title race, right? Wrong. Well, not quite. That’s just two DNFs for both Rossi and Lorenzo over the next six races, and Marquez will be right on their tails once more. Marc Marquez headed into the US GP (quite possibly the last at Indianapolis for a while…) with heaps of pressure on his young but vastly experienced shoulders, not least questioning whether he could retain his faultless record of straight wins in the US since racing in the premier class, but also to clinch the win in an attempt to claw back his bid for the 2015 championship victory. However, Jorge Lorenzo was the man to give Marquez a firm run for his money all weekend, all the way until the closing laps of the race in fact, with Marquez edging to victory by half a second ahead of his compatriot. Valentino Rossi meanwhile, having struggled throughout the weekend clinched third and crossed the line a further five seconds behind with Dani Pedrosa hot on his tail. Iannone and Smith had a titanic battle for fifth position with the Italian managing to best the Brit across the finish line. Results from Indianapolis can be found here. As the riders crossed back to the Europe side of the pond and headed to Brno in the Czech Republic, Jorge Lorenzo emerged as the man to beat of the weekend, clinching pole position on Saturday afternoon in dominant fashion ahead of Marquez and Rossi. The Italian was obviously starting to feel the pressure championship-wise, as it was his equal best qualification of the season. Rossi certainly didn’t utilise his higher-than-normal starting position, falling foe to the Ducati of Andrea Dovizioso and close friend Andrea Iannone right behind, allowing a holeshotting Lorenzo to clear off out front from the word ‘go’. Marquez initially followed Lorenzo with Bradley Smith chasing. As the race progressed, Rossi made his way past both Ducatis ‘for good’, also dispatching Smith in the process, but it was all too late victory-wise for the Doctor as Lorenzo and Marquez had both checked in their luggage online for flights home. Lorenzo took the win by over four seconds from Marquez with Rossi a further six seconds back. 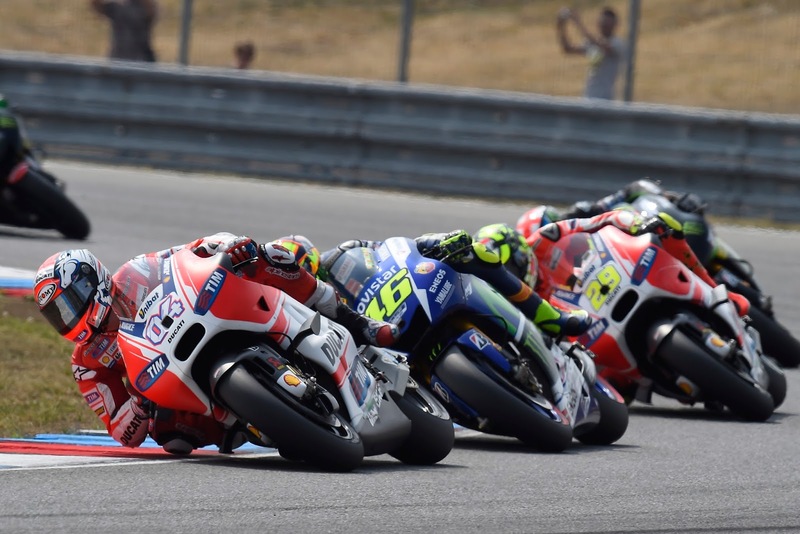 Iannone clinched fourth ahead of Pedrosa, team mate Dovizioso and Bradley Smith managed to hold off team mate Pol Espargaro for seventh place. It was a disaster day for British riders on the whole however, as both Eugene Laverty and Cal Crutchlow crashed out of the race and Scott Redding continued to struggle on the MarcVDS Honda in twelfth. Results from Brno can be found here. What can we expect this weekend? 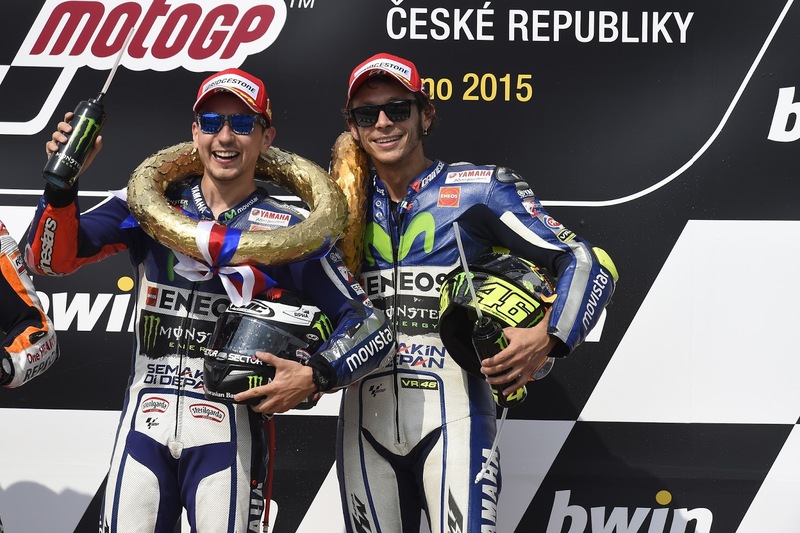 A three-way dog fight between Lorenzo, Rossi and Marquez? 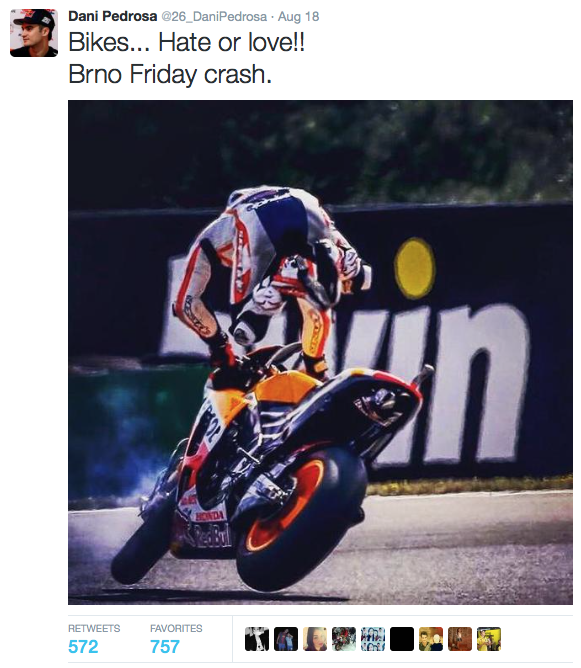 Pedrosa in the mix? 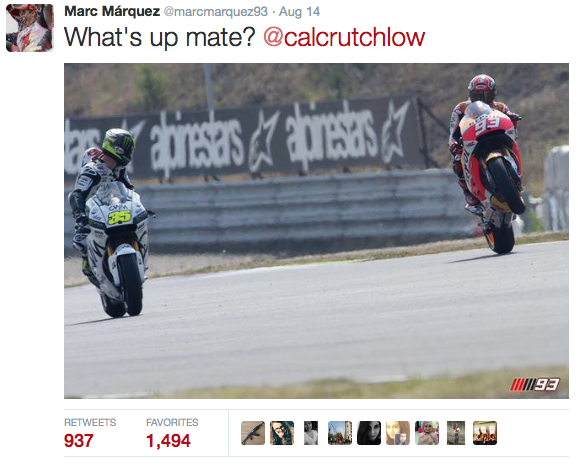 Ducatis getting argy-bargy too?! Oh how we wish! But no, we probably won’t. 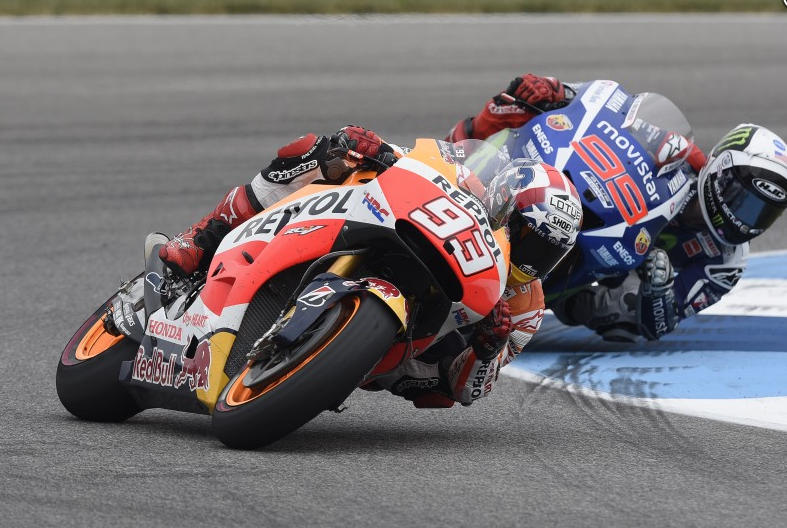 Last year we were treated to one of the races of the decade between Marquez and Lorenzo, maybe we’ll get another clash of the titans? 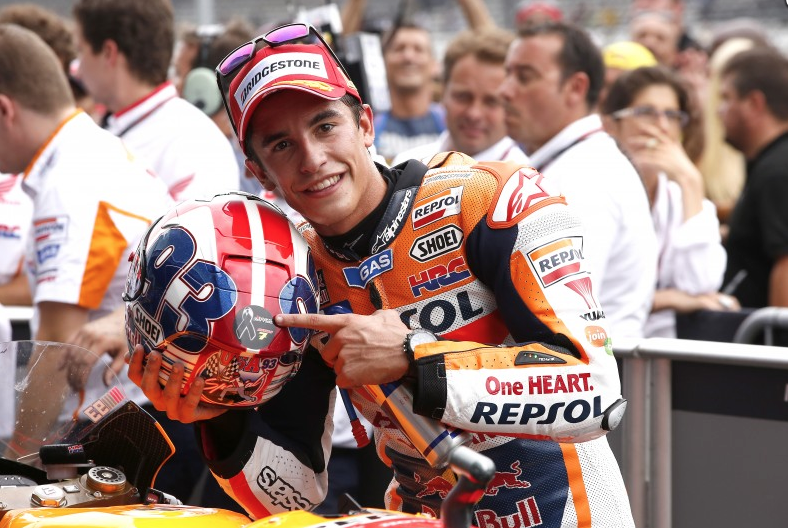 It’s hard to see past the championship top three when discussing victory at Silverstone given their previous form at both the circuit and earlier this season; Marquez will be hungry once again, while Lorenzo’s currently riding a tsunami of confidence. If we thought we were any good at predicting races, we’d put our money on a Lorenzo win with Marquez less than a second behind. Another clash of the titans? The factors we’re failing to count in here is just how much Rossi can pull his finger out and fight for this championship again. The Doctor has scuppered a Lorenzo run of form already this season, in Assen, after Lorenzo had clocked four wins on the bounce. Can he do it again? 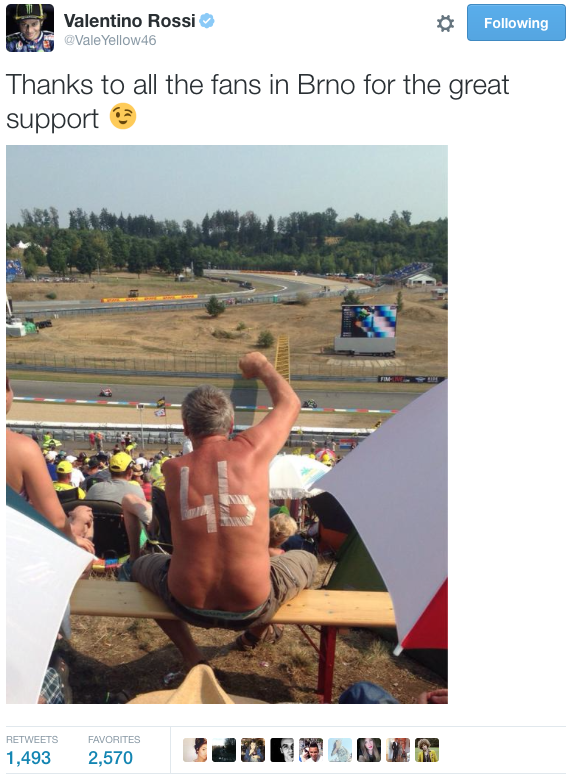 It’ll be a tall order given his results in the past at the British GP. Though arguably this is his first time arriving at Silverstone in a truly ‘competitive’ position. Last year was his first whack on his beloved Yamaha, but this time around he is a real championship contender and multi race winner this season too. 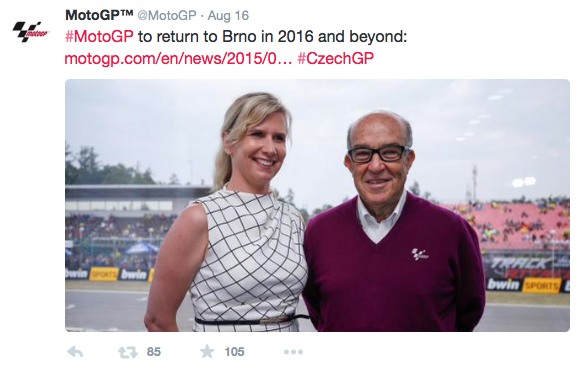 Rossi needs to hold on, though, else that coveted 10th World title will slip away. Who do YOU think will take victory in Northamptonshire this weekend? Let us know in the comments below or tweet us @PaddockChatter. Previous Previous post: BSB Cadwell Park: Might As Well Jump!